In 2013, ‘Big Data’ seemed to be the universal answer to all problems. Do you want to sell more? Use Big Data! Want to spend less? Use Big Data! Looking for a solution for the Middle East conflict? You guessed it - it’s Big Data! All year long, I have been answering questions about Big Data from which I have concluded that none of us really know what we are talking about. It’s clearly time to move on and I predict that we will move on in 2014 and latch on to a different buzzword. I also predict that we will hear quite a bit about the Big Content problem in 2014. That is a very real problem to solve - as most of our information resides in the content files and all of them are a mess, starting with your digital photos and iTunes library - all the way to your sales library. Cleaning up that mess automatically is the goal of the Big Content solutions and this will be one of the big trends in 2014. The debate about the future of ECM has been raging over the last years. Many consider the term obsolete or at least tired and believe that it doesn’t capture some of the new hip technologies such as social media, cloud computing, and mobility. Since the term ECM was coined back in 2001 (with many self-proclaimed authors), it has to stand only for a traditional, boring, on-premises software. Right? Basically, ECM is dead and it has to be replaced by a new term. Well, my prediction is that while the calls for its demise will continue, ECM will live happily on through 2014. Sure, there are some issues with the definition of ECM. Just look at Gartner - the ECM Magic Quadrant attributes significant score to adjacent technologies such as BPM (22% of the ECM score) and WCM (7%), which actually have their own magic quadrants. Yet the WCM Magic Quadrant pays no attention to ECM and the BPM Magic Quadrant doesn’t attribute any score to even having a content repository. The bottom line is - ECM will be around and well by the end of 2014. Mentioning BPM, I have another prediction. I consider BPM so highly adjacent to ECM that it is probably one and the same - but that’s yet another topic of a discussion for a later blog post. My prediction is that the BPM market will continue to look for a future direction. Little has happened in the last few years. At the core of BPM is the ability to analyze and optimize business processes, to orchestrate them, to integrate with other systems, to monitor their status, and to analyze the process activity across a period of time. Well, everyone is doing that. Sure, there has been a lot of talk about leveraging some of the new trends such as social collaboration, mobility, and the cloud but let’s face it - every software does that by now. Not much has happened since the last true innovative thought which was case management. Even the analysts have been struggling to articulate innovation by introducing concepts such as Intelligent BPM Systems (iBPMS) and Smart Process Applications. Those are compelling discussions but they don’t really introduce much in terms of technology innovation. Instead, these concepts basically package existing technologies into a larger bucket. 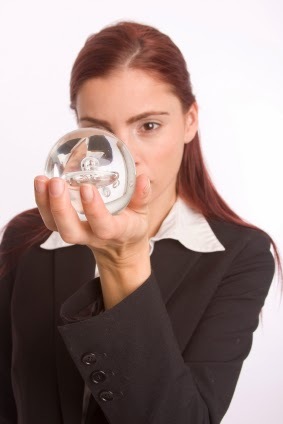 I predict that BPM will continue looking for a new direction in 2014, without finding it. In the longer term (beyond 2014), BPM technologies will become a feature of other software including ECM, ERP, CRM, etc. In the customer experience management (CEM) market, which is another market highly adjacent to ECM, we have been very focused on digital marketing this year. Indeed, the ability to provide a targeted and compelling experience across any communication channel combined with integration to the marketing back-end systems such as Marketing Automation Management and Customer Relationship Management is very compelling. Yet the more personalized we want to get, the more personal data we have to use. Using personal data for marketing purposes raises all kinds of privacy and security concerns and it will be more and more subject to regulations. We will see that the digital marketing discussion will increasingly include compliance concerns and compliance will become a standard part of the digital marketing feature set in 2014. My annual prediction for the mobile market introduces a perhaps unexpected turn from all my previous predictions. Sure, Google Android will continue dominating the market share as all the people still using feature phones will eventually upgrade to the cheapest smartphones which all happen to run Android. Apple iOS will continue making a killing on revenue and margin and will be pushing the envelope on innovation. BlackBerry is going nowhere. But the surprise will come from Microsoft. No, it won’t be the Nokia phones, which still offer little over their iOS and Android counterparts, but the tablets will start getting meaningful traction. I predict that 10% of the tablets selling by the end of 2014 will have the Microsoft Windows 8 operating system (or whatever number will be current at the time). The idea of a tablet that is the same as a laptop is simply too compelling and many will upgrade their laptops to a Surface or a similar Windows 8 tablet. The NSA spying will continue. FBI, CIA, and police will join in on the fun. We will all be upset for a day or two, post flaming notes on Twitter and Facebook and then we will go and focus on the playoffs. There will be a high profile case again - something of the Wikileaks or Edward Snowden proportion and the media will write about it for a few days, until Kobe or Angelina offer more “important” news. Spying will continue and we will not change our behavior as consumers in 2014. Our employers, however, will act upon the backlash from privacy issues. The lawyers and HR will translate it into a new set of corporate policies and mandatory employee training classes. These measures will serve, as so often, to protect the organization from a rogue you. Should you go Snowden and start letting the world onto corporate secrets, you have done it on your own and your company has the right to declare you crazy. That will also create an interesting dilemma for the whistleblower policies - which are ironically required by law today. We will see companies trying to limit the whistleblower freedom. After all, Edward Snowden could be seen as a whistleblower...or traitor - depending on where you stand on the issue. All in all, we will lose more data privacy in the enterprise in 2014, even though it will be a big topic. There is more to making a company social than just deploying social software. No amount of software will help when the organization fails to create a culture of sharing. If employees didn’t share their ideas, insights, and knowledge before the deployment of social software, they are not going to do it just because we have put a piece of software in front of them. In most organizations, “knowledge is power” and that concept is contrary to what social software is supposed to accomplish in the enterprise. The new corporate attitudes towards information security and data privacy I’ve described in my previous point won’t help either. My prediction is that most companies will give up on building the generic “Facebook for the enterprise”. They will move on and lose interest in social platforms. Most likely, they will replace their social projects with file sharing and synchronization which coincidentally also promotes a culture of sharing. But sharing a file is much easier for most people than sharing a thought. Social software won’t go away completely. There are some legitimate uses, mostly as part of a specific application. But in this scenario, there is a clear focus and the community of people involved is coming together for a specific purpose. Social software will become a feature. Cloud-based software is becoming hugely popular - to the point that many are predicting a quick demise of traditional on-premises software. While I consider enterprise cloud software hugely beneficial to the customers, I am not quite convinced that it is a sustainable business model for many of the vendors. I see over-hyped startups going through one round of financing after another – clearly operating at a deficit. I see the big public companies, Salesforce, NetSuite, and Workday, all operating at a loss. I see companies like Microsoft pouring billions into their cloud efforts with little to show for it. In 2014, I expect that we will see a couple of enterprise cloud failures on a high scale. Some enterprise cloud companies will fail, they will be forced to scale back their offering, or they will have to raise their prices drastically and face the market’s backlash. Cloud customers will start asking questions about viability again. In 2013, everybody got excited about wearable computing devices and yet not much happened. Google Glass became an overpriced prototype, Apple failed to release the iWatch, and while Fitbit is cool, it doesn’t do much. My Garmin watch is still way ahead as the most sophisticated wearable device with a practical use. The wearable devices will continue to evolve in 2014, but I predict the emergence of another class of devices – devices for cars. I recently bought a new family car after many years and one of the big selling features was “Bluetooth” for – well, just about everything. But let me tell you, this is not the Apple experience. This is more like SAP running on a mainframe emulator back in 1990. That will change and quickly. 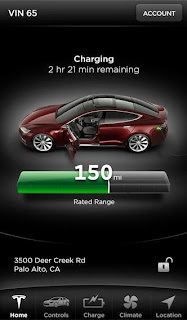 In 2014, we will see the first mass production cars (read: not Tesla or Ferrari) to release interfaces that will seamlessly connect with our mobile device. The car manufacturers will also start releasing sophisticated apps that will handle everything from the car’s entertainment, navigation, and climate control to maintenance status. 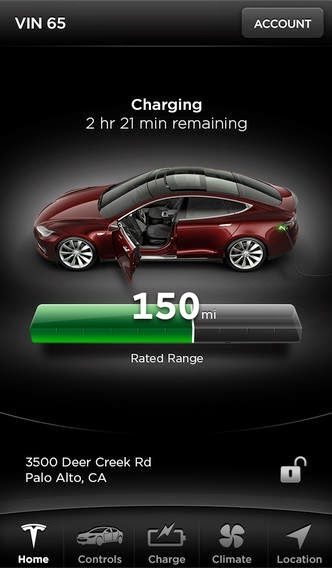 Tesla is showing the way with their new app. So that’s it. These are my predictions for 2014. I will review them in December and assess my score – just like I did in previous years. Until then – Happy New Year! 1) I believe enterprise software should be written such that it is just as easy to deploy to a public cloud, or to a private one. This gives the choice to individual customers as to what works best for them. To complicate things a bit, ideally enterprise software can be 'split' between public and private clouds, allowing companies to keep more sensitive information on premise.